Recycling, upcycling and reuse are today’s buzz words, but there is absolutely nothing new about architectural salvage. Reclaimed building materials have been used since ancient times; indeed, many fine country manors, farmhouses and barns feature stone ‘salvaged’ from abbeys and churches, particularly after Henry VIII’s dissolution of the monasteries in the late 1530s. Today, owners of period properties in particular look to salvage yards as a first port of call when undertaking a renovation project. From reclaimed period bricks, tiles, stone, front doors and chimney pots to fireplaces, radiators, baths and sinks, floorboards and flagstones, reclaimed materials are those that have been previously used before, whether salvaged from a building or used previously in another project. Why might you need to use them in your home? The appeal with reclaimed materials is the character and authenticity they bring, as opposed to new materials or reproductions that may jar with existing features in a period property. Whether you are completely renovating your home, where original floorboards are in keeping with its era, or you’re looking for a unique, one-off piece like an antique roll-top bath, salvaged materials are also more environmentally friendly, and have already proven they can stand the test of time. Where can you source reclaimed materials? Reclaimed materials can still be found at auction, and the internet is an increasingly thriving marketplace, but salvage and reclamation yards generally offer more choice, and pieces will often have been restored and reconditioned — a cast-iron fireplace surround refinished, a bath re-enamelled, or a radiator modernised so they can be immediately installed. Each salvage yard is different: some are cavernous and carry stocks of all types of reclaimed materials; others are small and specialised, focusing on doors, fireplaces or sanitaryware, for example. Owners and staff are often knowledgeable and happy to give advice, and in some cases there are craftspeople on site to make repairs or restore items. Stock changes constantly so, if you are looking for particular items, be prepared to spend a little time searching different yards and pay a number of visits. Often dealers will take details of what you are looking for and add it to their wanted list. When they think they have something suitable, they will contact you and may email photos, too. Most dealers will reserve items for a limited time. What materials are commonly sought after? Aside from the aforementioned structural building materials, there are the more unusual items such as church furniture, stained glass windows and original door furniture, plus plenty for the garden, including urns, statuary, benches and railings. Just as with antiques, prices vary depending on condition, quality and rarity. Seldom will you find car boot sale prices and desirable period items will be expensive. Even so, there are sometimes bargains to be had and, when buying in quantity, dealers may strike a deal over price. With pieces such as stone and timber beams, some yards will cut and prepare the materials according to your specifications but will charge extra. If you buy larger items, consider how you will get them home. Dealers may deliver but this can be an extra cost – it is worth negotiating. 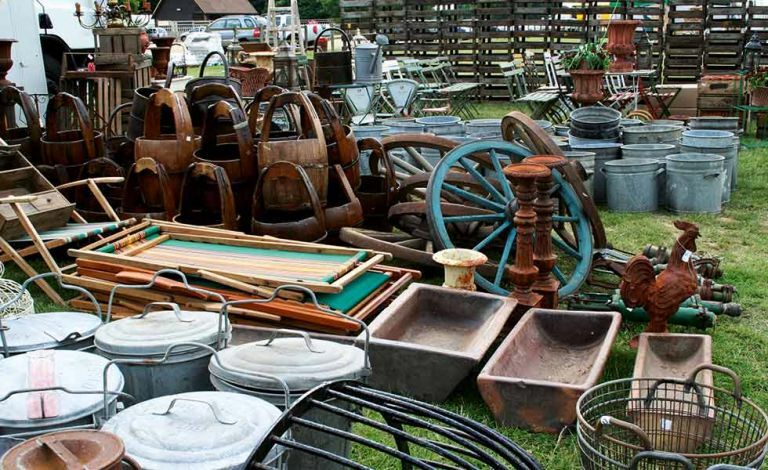 Before visiting a salvage yard, make a list of what you need, record relevant measurements and do your research to give an idea of period designs and materials, local specialists, prices and what is available. Always take a tape measure and any relevant samples – for example, when trying to match a brick or tile – or, alternatively, photographs. The challenge with architectural salvage is that many pieces are unique, so be prepared to make a considered decision. If feasible, get someone to go with you to give a second opinion. Never rely wholly on a photograph; if possible, go to see the item before buying and don’t be afraid to examine it carefully, especially on the underside. Look for cracks, rot, rust and woodworm. Are there any tips worth knowing? Reputable dealers that sign up to the Salvo code of practice are careful not to deal in stolen goods but, to avoid architectural theft or vandalism, always ask about the provenance of any item you are considering buying. Bear in mind, too, that current conservation thinking advises that care should be taken to avoid confusing the history of a building by introducing materials such as old beams from elsewhere in situations where new equivalents are available. Indeed, some believe that it is preferable to use traditional materials made new rather than those that have been salvaged as this maintains their long-term availability and the skills used to produce them. If your house is listed and you are making alterations, this issue may arise with a local building conservation officer. As architectural salvage has become more difficult to find in this country, many dealers are now searching for stock further afield, particularly in France and Italy. While these items can be wonderful additions to an old house, take care if you are seeking authentic British detail as continental styles and materials can differ in their look. Check that electrical goods, such as period lighting or switches and sockets, comply with current regulations, and ask a qualified electrician to undertake any upgrading and installation. Ensure taps and radiators have been tested and connections are compatible with modern plumbing systems. Examine bricks and stones on sale from the centre of each pile as well as those on the outside of the pile to ensure they are all usable. If joinery items have been stripped of paint, check the wood is not warped and that the joints are in good condition. Avoid purchasing floorboards or flagstones used in mills that have been saturated in oil as they are unsuitable for reuse. Beware of reproduction items sold as originals. Conversely, some salvage yards offer ranges of well made, above board reproduction wares copied from original items.